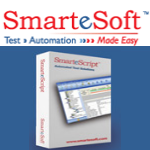 SmarteScript is a test automation solution, with no coding skills required. It's Learn and Interact function intuitively learns windows and objects used in an application. It creates test skeletons for each business process then develop test cases easily. Complex, data-driven scripts can be auto-generated. Respond to software changes with quick test case revisions instead of creating the test script from scratch. It provides the tools necessary to control test management and boost test productivity. Using SmarteScript, users can expect improved software quality, while improving the liklihood of meeting cost and performance goals. SmarteLoad simplifies web performance and load testing, and is used for performance measurement, load and stress testing and reliability validation. 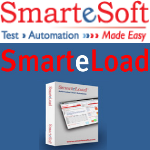 SmarteLoad presents test results in a user friendly format, creating customizable charts and graphs that can be exported to many formats, including Microsoft Word, Excel, and HTML. SmarteLoad can leverage already existing automated functional tests to give you a jump start on your performance testing project. You will spend less time designing and more time executing performance and load tests. Only SmarteSoft delivers an integrated environment where a single set of test scripts is all that is required for each step of the test process.